Low membership monthly dues at only $60.00 per month. Common areas that are not only beautiful, but also maintained. Water is included in members monthly dues. Freedom to travel, knowing your home will be safe. Variety of clubhouse activities from card games, to potlucks, and special events. Members can reserve the beautiful clubhouse for their own private family and friend parties. One level living relieving the fight of stairs. A choice of lot size thereby minimizing the maintenance of larger acre lots. A choice of maintaining your own lot or hiring it out. Well kept neighborhood…thanks to the pride of the membership. Private streets allowing the membership to gate the community if they so desire. Excellent location with ease to errand such as post office, shopping, groceries, or fueling up. 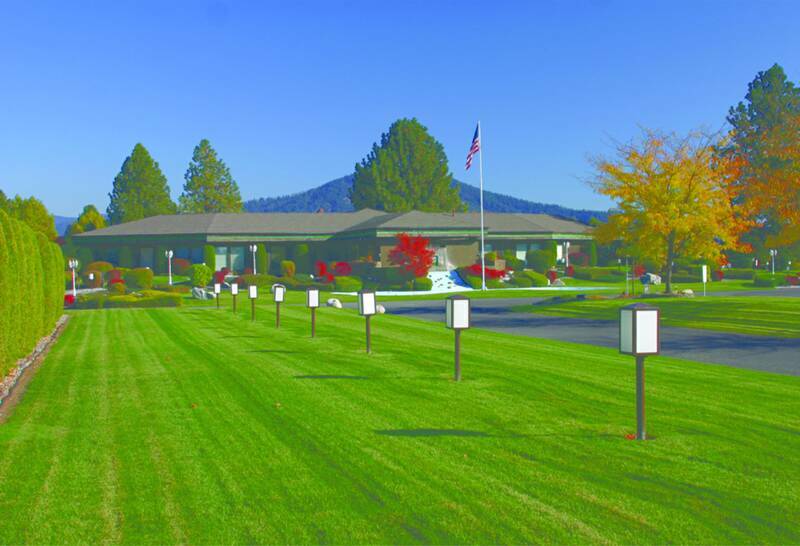 Close proximity to Kootenai Medical Center. Many golf courses nearby, as well as lakes for fishing and boating, trails for hiking, and parks for enjoying.